“Now I’m back. 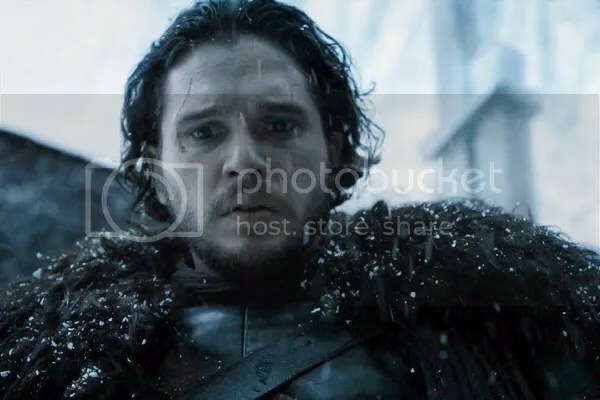 Why?” – To kill Ramsay, Jon. And hopefully claim the Iron Throne. Every time they show the Tower of Joy, I think of the story of Rapunzel. Only in this story Rapunzel has a baby instead of super-long hair. “He stabbed him in the back.” – Backstabbing is quite common during times of war, Bran. Ask anyone who has ever dealt with Littlefinger. I feel bad that the High Priestess lost her husband and was forced to join the dosh khaleen, but that doesn’t mean that she gets to condemn Daenerys to the same fate. Varys offering money to Vala in exchange for her freedom and information on who is funding the Sons of the Harpy puts new meaning on the phrase “catching more flies with honey than vinegar”. I love the scene with Tyrion trying to get some entertainment out of Missandei and Grey Worm. Talk about a clash of cultures. Thank goodness there is still one Lannister in King’s Landing who is willing to stand up to Cersei. Osha and Rickon! For a while there I thought they had gotten the same treatment as Gendry. Poor Shaggydog. I’m so sick of this show killing off the direwolves. The ending of this episode always makes me wonder if the whole reason GRRM killed Jon off was so that he could leave the Night’s Watch.